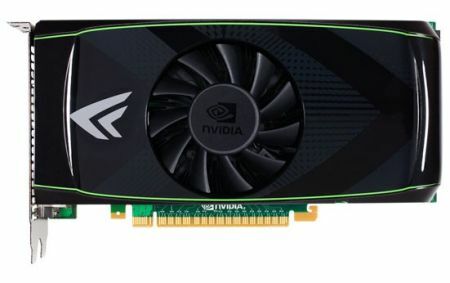 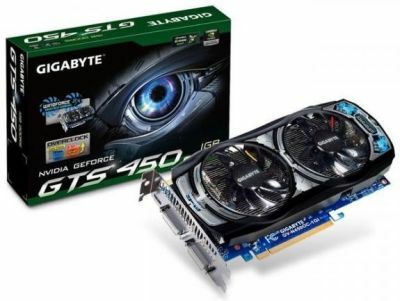 NVIDIA has officially launched today its new baby: the GeForce GTS 450 in order to compete with AMD Radeon HD 5700 series like the Radeon HD 5770. 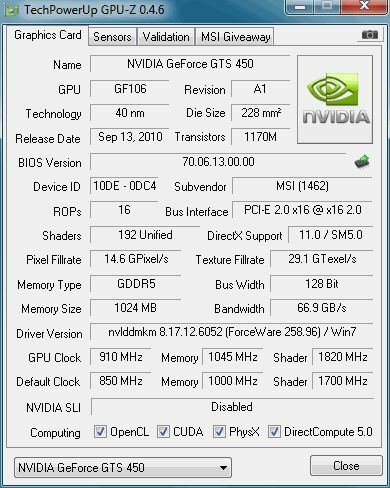 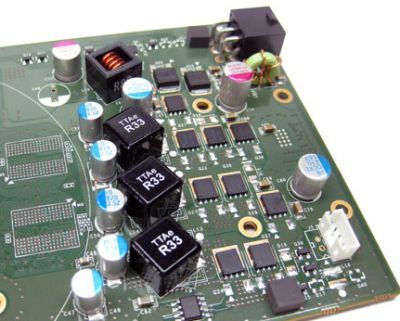 The GeForce GTS 450 is based on the new GF106 GPU but with only two ROP partitions and two memory interface partitions enabled. 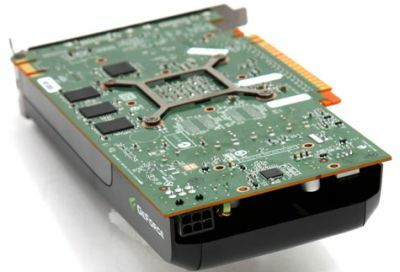 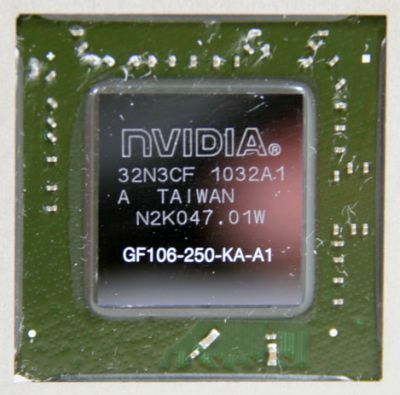 The full GF106 includes one GPC (Graphics Processing Cluster), four SMs (Streaming multiprocessors), three ROP partitions, and three 64-bit memory interfaces. 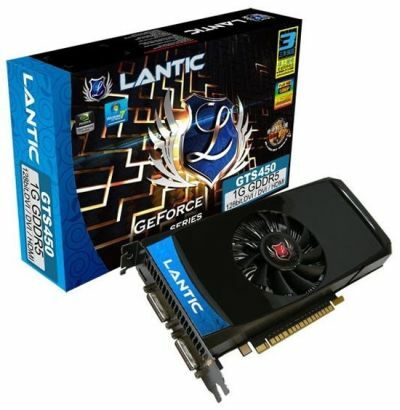 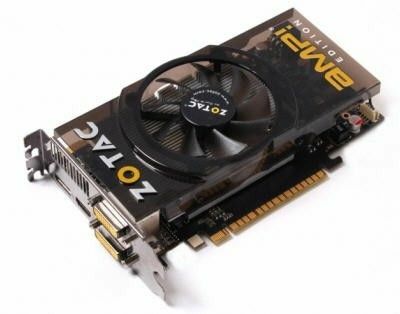 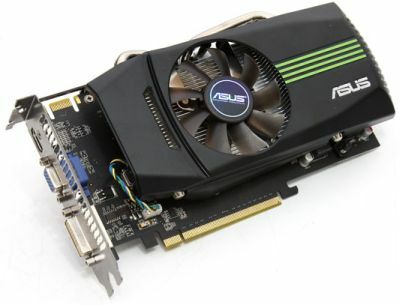 The GeForce GTS 450 targets gamers that are younger and that have a tight budget. 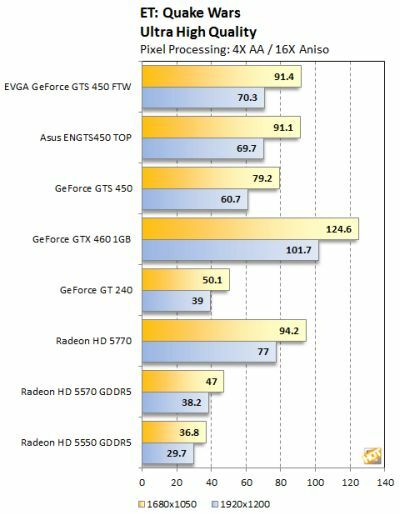 And according to NVIDIA, this group of gamers makes up the majority of the gamaing market. 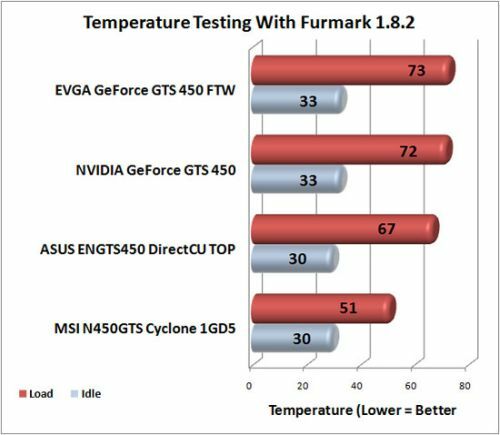 FurMark 1.8.2, OpenGL 2 – Notice how 2-way SLI works fine with FurMark! 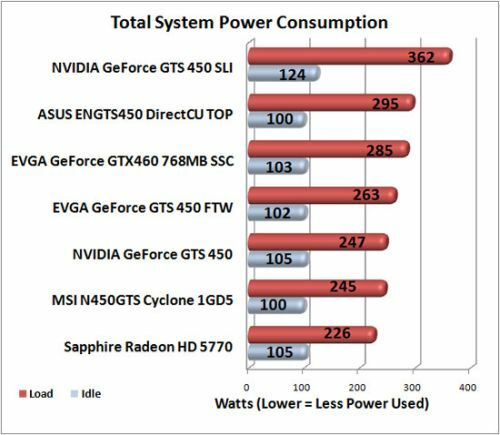 (247-150) * 0.9 = 127.8W which is 20W more power than the TDP. 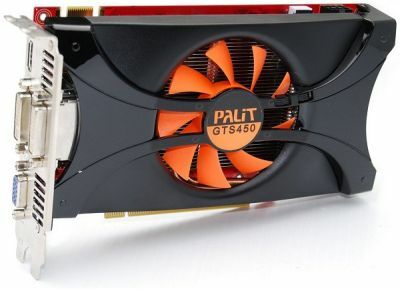 The VRM of the GTS 450: 3 phases for the GPU and one phase for the memory. 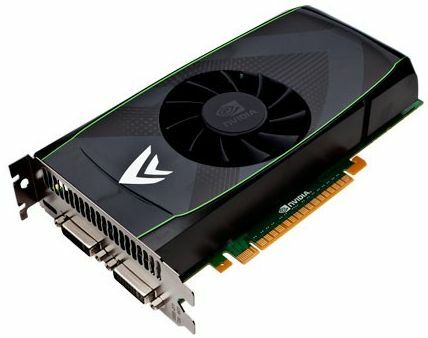 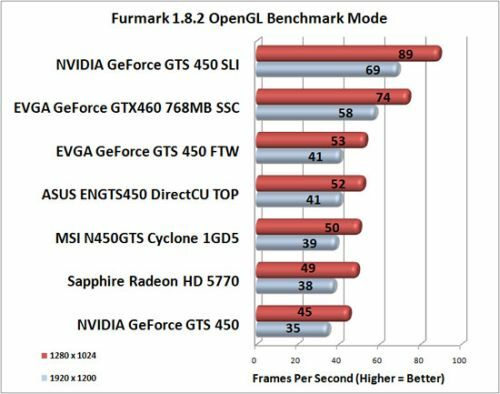 the NVIDIA company took much time to disponibilizar this series GTX 400, and in the end of the tests she finishes that the not and so superior performance of them as she would have to be, still more for if dealing with the pioneer in the market of vga´s NVIDIA!! 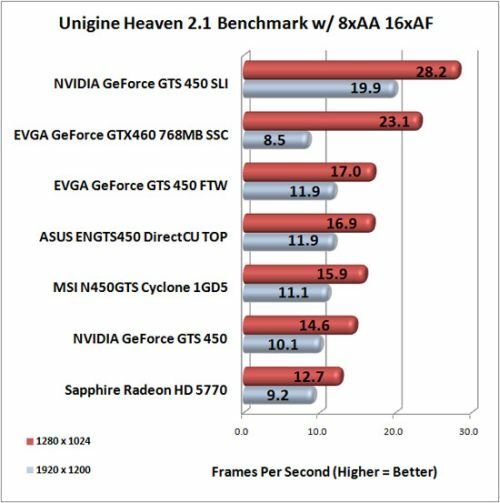 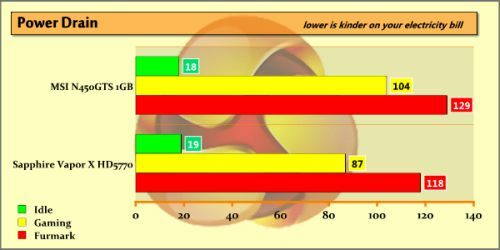 And, yep, we all know that ATI’s cards have a very slow tessellator and poor GPGPU performance.